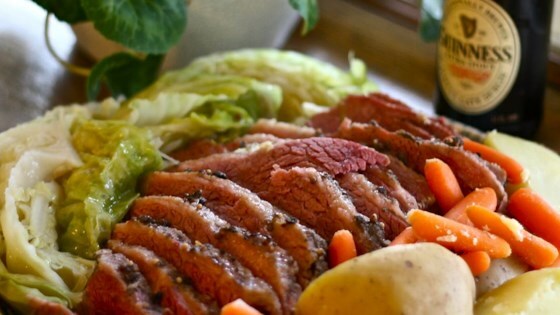 See how to make a traditional recipe for corned beef and cabbage. Jeepers, it needs onions! Everything except desserts needs onions! I cover my corned beef with beer usually a 5 pack and one for the cook! Follow any of the recipes that call for water and substitute the beer WONDERFUL!!!!! !